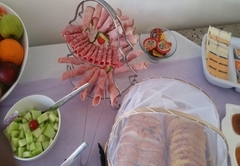 Mermaid Guest House is a 4 star graded guest house offering Struisbaai accommodation in 8 guest rooms. 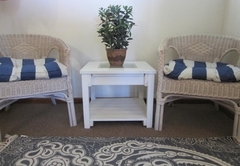 Come rest a while in our beautiful seaside village. 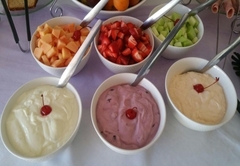 Boasting the longest continuous beach in Southern Africa, the 14km of white sand extends from Struisbaai to Arniston, providing safe bathing, boating and angling. The beach here is exquisite, with an almost subtropical feel. The water is crystal clear and its brilliant color is exaggerated by the colorful fishing boats at anchor in the harbour. 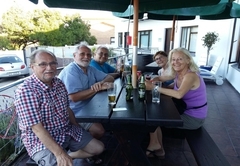 Mermaid Guest House is close to all amenities in Struisbaai including the main beach, which makes it a convenient base for your visit to Struisbaai, Cape Agulhas and the Southern most tip of Africa. 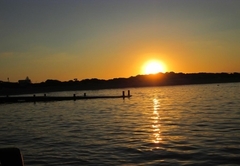 Come and have a relaxing stay in our peaceful surroundings to restore your soul. 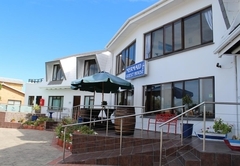 Beautiful sea views from all bedrooms, easy access to the village, harbour and beach. Individually decorated rooms in a nautical theme, stay in the Captain’s cabin or visit the Navigator's Quarters, we have a room for all. Beautiful views of the sea. 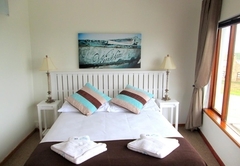 Twin beds and en-suite bathroom with shower. Beautiful views of the sea. 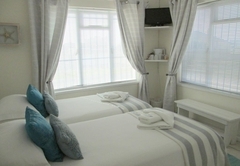 Twin beds with en-suite bathroom with shower. 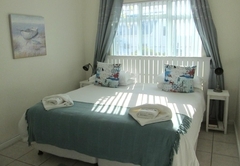 En-suite family bedroom with one double bed and one single bed and amazing sea views. 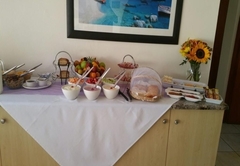 En-suite double room with double bed and beautiful sea view. 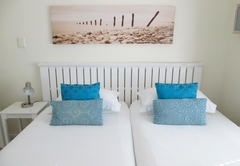 En-suite double room with queen bed and beautiful sea views. 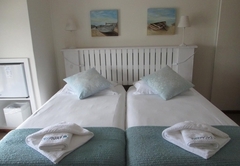 En-suite double room with double bed and beautiful sea views. Ground floor – no sea view available. 3 Bedrooms with 2 shared bathrooms. Wheel chair friendly. Ground floor – no sea view available. 2 Bedrooms with one shared bathroom. 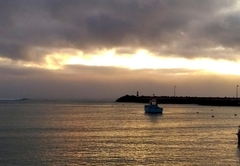 The charming little harbour in Struisbaai, originally built in 1959 but enlarged in 1990, serves local fishing boats known as “chukkies” as well as ski boats for the flocks of visitors to the town during the holiday season. On almost all days it’s easy to launch a kayak, small boat, or rubber dingy off the beach, and board and kite surfing / sailing are particularly good here. 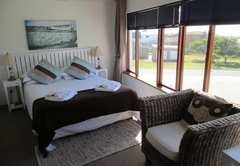 Twin bedroom with en-suite bathroom (shower, toilet and basin), Mini-bar and air-conditioning. 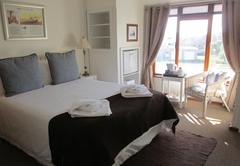 Beautiful sea views from all bedrooms, easy access to the village, harbour and beach. 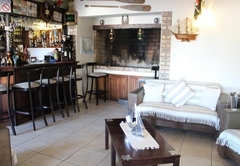 Individually decorated rooms in a nautical theme. 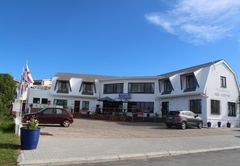 Triple bedroom with double and single bed with en-suite bathroom (shower, toilet and basin), Mini-bar and air-conditioning. 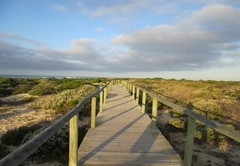 Beautiful sea views from all bedrooms, easy access to the village, harbour and beach. Individually decorated rooms in a nautical theme. 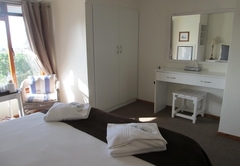 Double bedroom with en-suite bathroom (shower, toilet and basin), Mini-bar and air-conditioning. 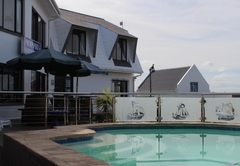 Beautiful sea views from all bedrooms, easy access to the village, harbour and beach. Individually decorated rooms in a nautical theme. Twin bedroom, double bedroom and bunk bedroom. 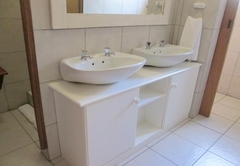 2 bathrooms (shower, toilet and basin). 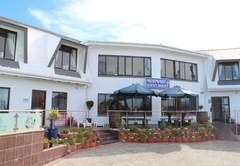 Beautiful sea views from all bedrooms, easy access to the village, harbour and beach. Individually decorated rooms in a nautical theme. 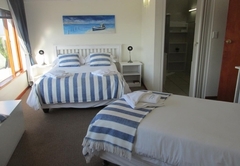 1 Double bedroom and 1 twin bedroom, share bathroom. and air-conditioning. 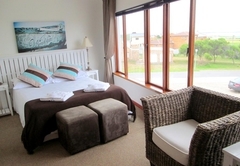 Beautiful sea views from all bedrooms, easy access to the village, harbour and beach. Individually decorated rooms in a nautical theme. 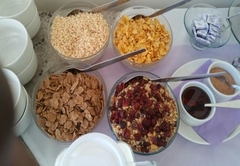 Warm welcome, wonderful rooms, very close to beautiful beach, best breakfast in SA! Thank you!!!! 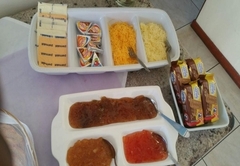 Response timeMermaid Guest House typically responds to requests in 5-10 minutes.